We are a group of devoted volunteers, looking after all the components that make up the Southam Heritage Collection (originally The Friends of the Cardall Collection). Our Mission is to save Southam’s heritage! 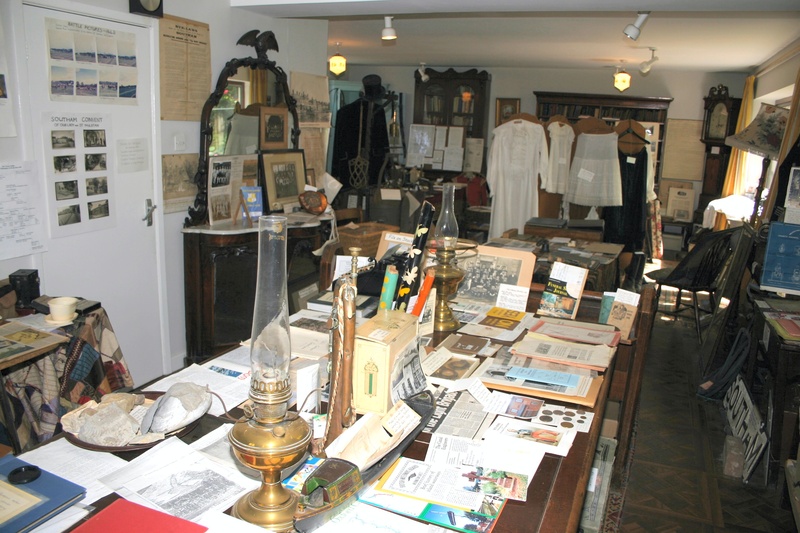 Southam’s Heritage Collection comprises artifacts, documents, photographs and memorabilia associated with Southam and its surrounding villages. The Collection was originally started by Southam resident Jack Cardall in the middle of WW2. Jack was a local business man who had enjoyed considerable success as a dance band leader in the first half of the twentieth century and the family had lived in Southam since the middle of the nineteenth century having moved there from Coventry. At the start of WW2 Jack was a coal merchant who still dreamt of his first ambition in life which was to be a journalist. Cardall had a great interest in the history of Southam and so decided to write a number of pamphlets about local history. Probably much to his and other peoples delight these were extremely well received and as a result local residents started to offer Jack objects, archives and photographs that related to the local area. Following the war Jack Cardall lived at Beech-Hurst on Warwick Road which was a large enough property to hold the ever increasing volume of objects offered to him. Several times each year, usually in support of the Church fete the house would be open to the public to view some of the objects. Following Jack Cardall’s death his wife Rene continued to maintain and display the collection in her home, which was now the much smaller former Coach House, until her death in 2006, when the collection was moved to another nearby building, which had originally been built as the local Employment Exchange. In the years leading up to the millennium several attempts were made by interested local residents to devise a means for transferring the Collection into public ownership and housing it in a more publicly accessible building but these all came to nothing. However just before Rene Cardall was diagnosed with the throat cancer that finally killed her a further series of public meetings were held. The result was the establishment of the Friends of the Cardall Collection, a publicly constituted charity recognised by HMRC, to look after the Collection with the prime objective of finding it a permanent home. Following Rene Cardall’s death the Collection moved for 5 years to a new temporary home, still in Warwick Road. This building had originally been constructed, probably in the 1930s, as the Employment Exchange for Southam and had since then seen many occupants including dentists, accountants, engineering firms and many others. However the building, generously provided by Major Terry Mills, was in a poor state of repair and could not be envisaged as a permanent home. Around this time proposals started to be developed to construct a major housing development bordering on the centre of the town and part of this development was to include new community space, The Friends of the Cardall Collection applied for, and were fortunate to be granted, one of the rooms in this development together with a small amount of storage space. Whilst the new development was being constructed the Collection had to move to another temporary home following the end of its lease and the death of Major Mills. This new home (again provided on very generous terms by a long term Collection supporter, Mrs Jenny Frith) was in the basement of Vivian House, an imposing tall white building on Market Hill, directly adjacent to the expected new community space. Local residents and organisations continue to donate relevant material and the committee hope that they will soon be able to move to a permanent home in Southam’s new Community Centre where it can be displayed, used and appreciated by the general public, local history societies, schools, reminiscence groups and researchers. However much will depend on the financial terms that can be agreed with Southam Town Council and the developers Orbit Housing. Shortly after the millennium Warwickshire County Museum Service commissioned a report by museum consultants who reported that the Collection represents an important record of the life and times of our historic market town and should be preserved. 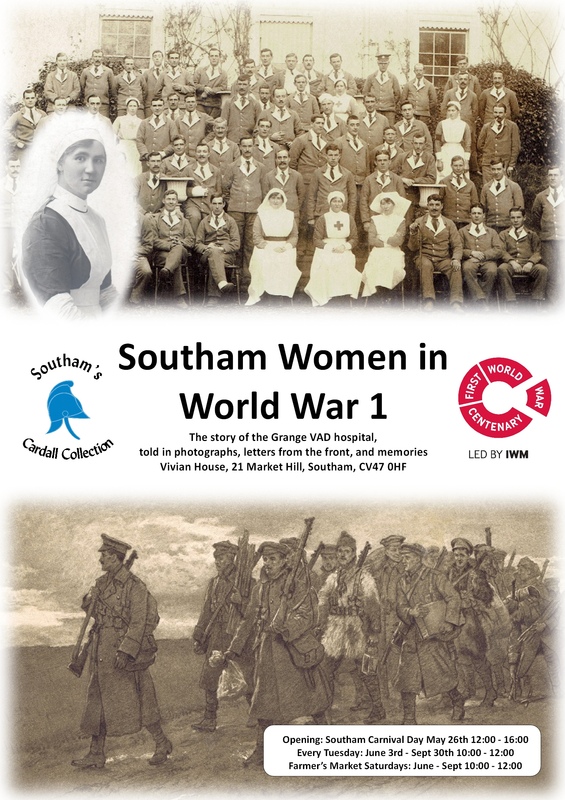 Membership of the Southam Heritage Collection is open to anyone with an interest in preserving this unique collection for the benefit of the Southam community.